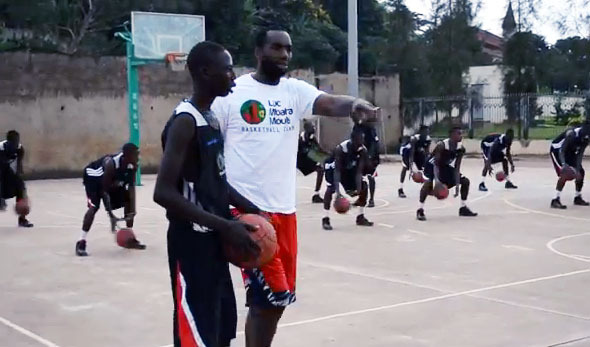 Since arriving in the United States and its NBA debut, Luke has his eyes set on helping communities in Africa and his native country, Cameroon. 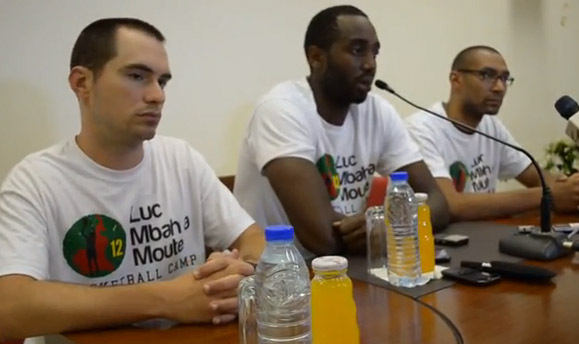 Luc was able to attend this support thanks to the Basketball without Borders. A program in which Luc believes in, it was natural for him to give back to those who need it, this experience has brought him. 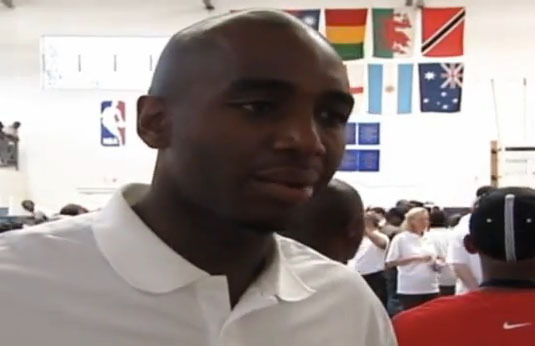 Basketball without Borders (BWB) is a social assistance program nearby communities organized by the NBA and FIBA. 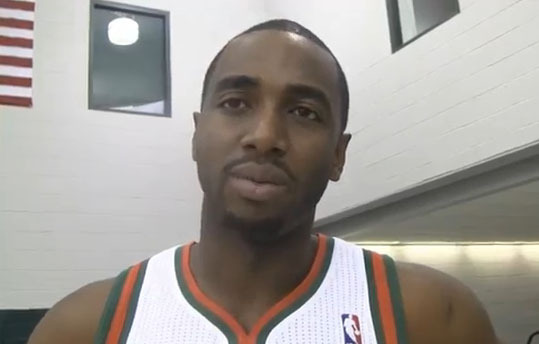 It brings together young basketball players to promote the sport and encourage positive social change in the areas of education, health, and well-being. 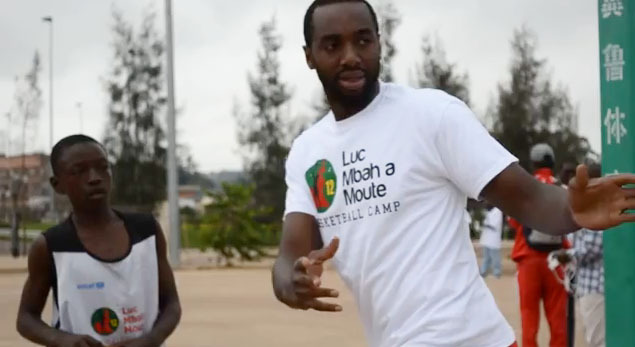 Each year, the best young players under 19 from Asia, Europe, Latin America and Africa, as selected by the NBA, FIBA ​​and participating federations will train under the orders of the players and NBA coaches. Daily meetings are held to raise awareness about the importance of education, leadership, character development, health and well-being. To promote friendship and diversity, the campers are divided into teams, from all backgrounds and nationalities. The program has already mobilized 350 NBA players, coaches and staff in 30 different teams over 1500 young athletes from more than 100 countries and territories. Since its first year in 2001, 24 BWB camps have been held in 13 cities in 11 countries on 5 continents. 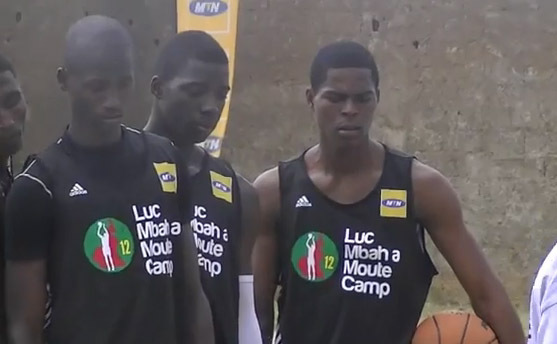 Six of the ten Cameroonians selected under this program went through its center workout. Luc is actively involved in the association Giving Back, inspired the organization of all the villages of the world pass through a chain of human solidarity, resources for children and those who suffer, so that they can arm for life. Education through sport is the founding pillar of the Action Giving Back. Sport is the perfect way to illustrate and convey values ​​such as the taste of the effort, respect, fighting spirit, solidarity, the desire for success and fair play. Sport is universal; children from any country may be on the land and share moments together, practicing the same activity. 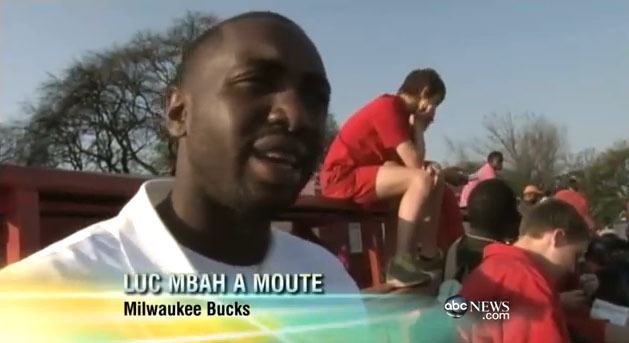 Even though he couldn’t speak the language, He was able to share with the kids and understand them. 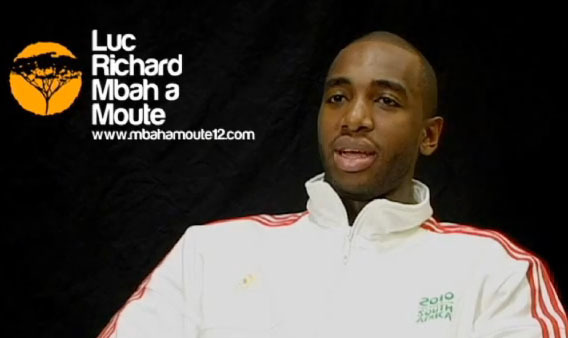 Since 2008, Giving Back is organizing a tour of several countries in Africa, with the African stars that play basketball and International matches gala for orphanages and social projects. The goal is to visit social and humanitarian structures, and develop a sustainable partnership to support local solidarity actions. 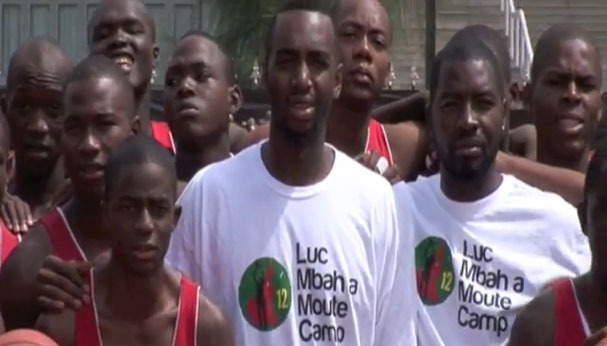 The first three editions, the North West Africa were honored with stays in Senegal, Mali and Cape Verde. 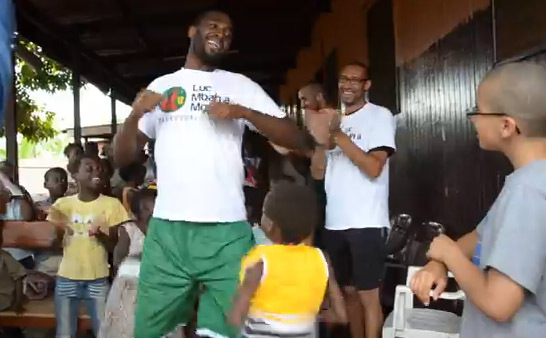 In the offseason 2013-2014, Luc Richard Mbah a Moute and a group of several other NBA players accompanied by ambassadors traveled to Africa on a mission of UNICEF. 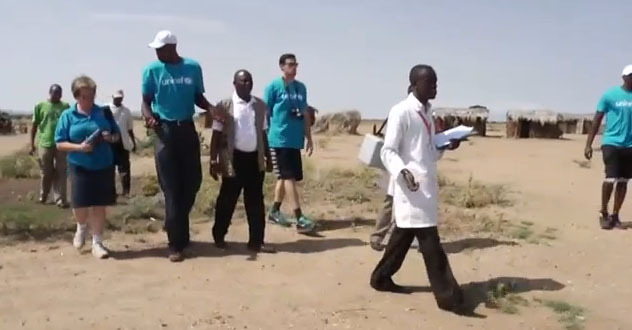 As part of this mission, the group visited the Turkana district in northern Kenya, and helped to vaccinate children against polio.